The REB 001 Kaari Table by Artek is part of an innovative collection by Ronan and Erwan Bouroullec, the concept of which is based on a special table leg. The REB 001 is ideal as a dining table for 6-8 persons. A wooden vertical part supports the table top. Horizontal stability is provided by diagonal, curved struts made of steel. The combination of a solid wooden pole and a soft, metal bend give the furniture a surprisingly lightweight appearance. 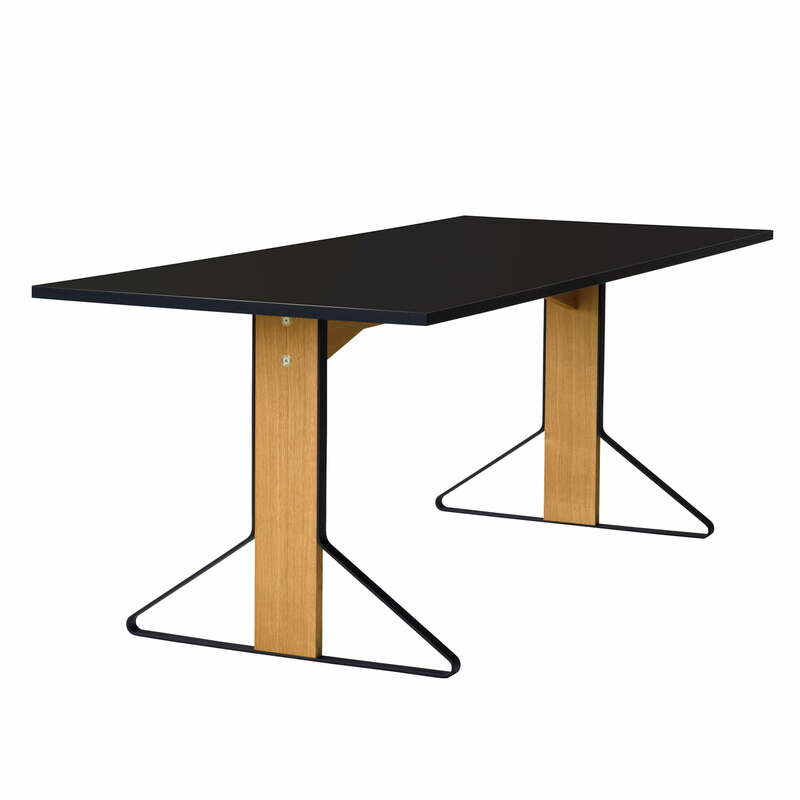 A construction that supports a wide variety of tabletops - big and small, round and square, low and high. Because the leg design is ideal for a wide range of furniture, the Kaari Collection includes a wall bracket, small console, several large wall shelves as well as tables of all shapes and sizes. Several tables in one room make a rhythmic effect, which is rather atypical for a table, usually a static piece of furniture. Observers gain the impression of looking at something completely new. The surface consists of linoleum and high pressure laminate (HPL), which absorbs light in unusual ways, or reflects it. Over time, these materials form a very special surface. 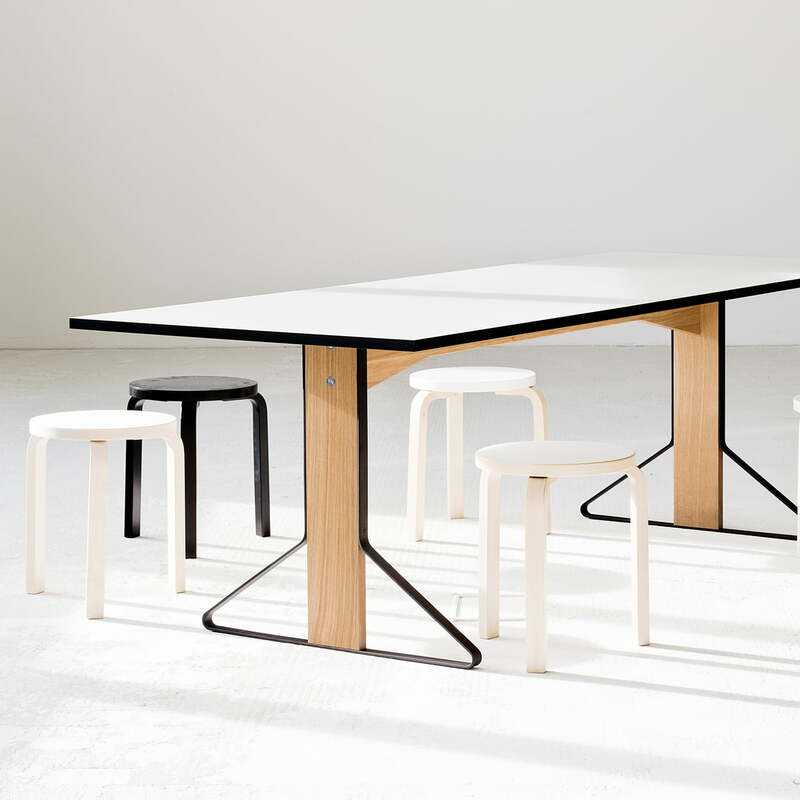 The REB 001 Kaari Table by Artek has an oak tabletop in black or white and natural oak legs and powder-coated steel in black. The REB 001 Kaari Table by the Finnish manufacturer Artek has a tabletop made of oak in black and legs in natural oak and powder-coated steel in black. 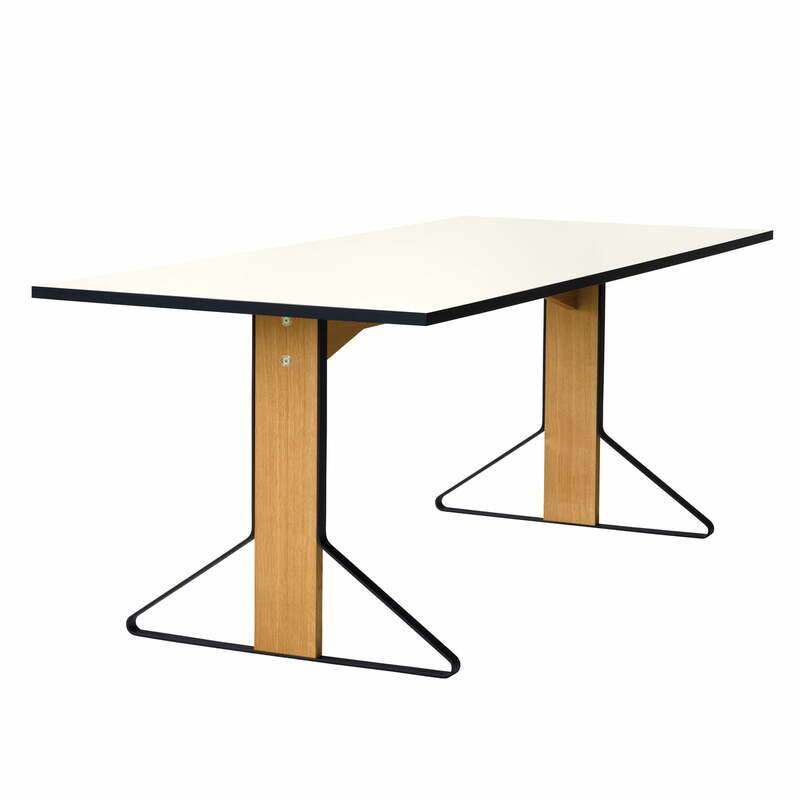 Individual image of REB 001 Kaari Table 200 x 85cm by Artek in high gloss white made from natural oak. Several tables in one room make a rhythmic effect, which is rather atypical for the static piece of furniture table. The REB furniture by Artek is part of an innovative collection by Ronan and Erwan Bouroullec, the concept of which is based around a particular table leg. For the shelf, the table leg has been transformed and serves as a bracket for the shelf ledges. 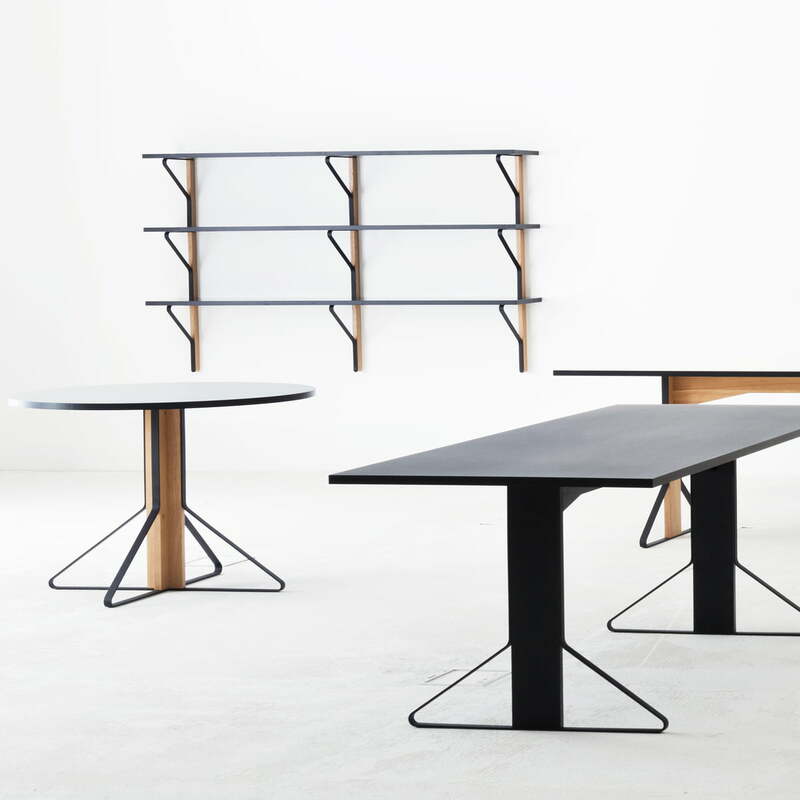 The REB 001 Kaari Table by Artek is part of an innovative collection by Ronan and Erwan Bouroullec, the concept of which is based around a particular table leg. The REB 001 is ideal as a dining table for 6-8 persons.